it’s as if there is no other place the word utterly could take you to. butterly was its destination, butterly was its mate, where one went the other had to follow. i don’t remember how old i was, must have been around ten, when these words got embedded in my memory. 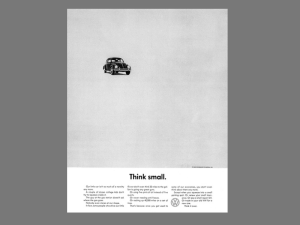 possibly the first copy, as in advertising writing, that i noticed, loved, remembered. that’s the tagline of the amul butter campaign which started exactly fifty years ago (longest running campaign?). found out just now that while sylvester dacunha of asp advertising did write the line, it was his wife nisha who started the idea off when she said, why not call it “uttterly amul.” reminded me of walt disney, who might have named a certain mouse mortimer if his wife hadn’t suggested the name by which we all know the most well known mouse in the universe. apart from that line, there was the girl. she wore a red polka dot dress, she had a fringe and blue hair, a ponytail swished right on top of her head, she was sassy and said things that other ads didn’t say. and she was up on hoardings everywhere. i still remember all of us looking out for the new amul ad every week. you could see them as you slowed down at a traffic light or drove up one of those new flyovers in delhi, or on certain building. i think it was my uncle, my favourite mama, who’d say the ads were “topical” and we’d always enjoy the puns and innuendoes. sometimes there were discussions about the amul butter take on a particular thing that had happened. and whenever anything did happen, we waited to see if the amul girl would have something to say about it in her utterly butterly way. i don’t think i have ever seen a campaign like this for anything. not that the word play was always fabulous, sometimes it was cheesy, but there was something about the way she looked, the way the whole hoarding looked in fact… not taking itself too seriously, poking gentle fun, almost laughing along with you, that always made you want to feel happy… look out for the next amully. okay, there’s no such word, but there’s no such word as butterly too. i remember my mama and the other grownups talking about some verghese kurien, a man who had taken over some dairy or something in gujarat and he was the one responsible for the new things happening at amul. these conversations went over my head. i could only understand amul in all of that. for who didn’t know amul, it was the best butter in the world. the toast had to be hot, the butter a little cold and it had to start melting and seeping into the hot crust of the toast as you bit into it. this is a deep, practically spiritual, experience; mere words aren’t enough to describe it. maybe the amul girl knew that and that’s why she looked so happy and unflappable even when things went haywire. in the seventies, there was a lot of that. a war, the emergency, gabbar singh, my higher secondary exams, to name a few. the amul girl and the ads became part of life. politicians, movie stars, sportsmen and women, the ordinary everyday person, everyone and thing brought mirth. and perhaps showed us something about ourselves. verghese kurien, the head of amul, commissioned asp advertising in 1966, or perhaps a year earlier, to create a campaign for amul butter. 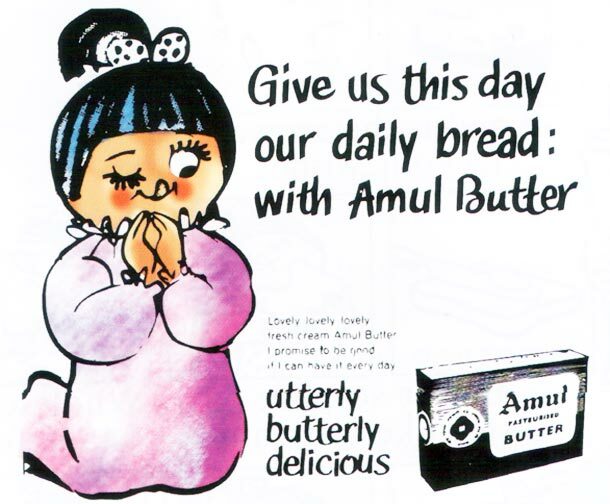 the brief was to take on polson’s butter and make amul look more with it, engage with the audience. sylvester dacunha, the owner of asp, and art director eustace fernandes came up with the idea and the girl with the blue hair was born. 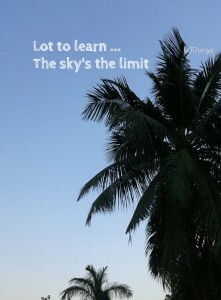 mr kurien showed immense faith in his ad agency and did something very few clients ever do. he gave them permission to go ahead and release ads without his approval. 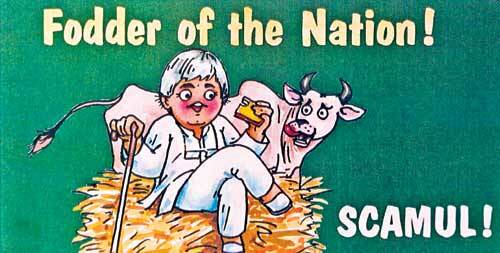 amul had decided to go “topical” after a few years of just being pun oriented and smart sounding. if one had to succeed at this, the ads had to roll out quick. a sense of immediacy was a must and time was of the essence. recognising this, mr kurien, ever the risk taker, decided his yes was not needed for the amul girl to say what she had to. amazing man. at this stage, mohammad khan worked on amul ads i read somewhere. later bharat dhabolkar wrote them for a while. rahul dacunha (sylvester’s son), manish jhaveri, and jayant rane create the ads now. when i look at the amul girl, i wonder why no one has given her a name yet. wouldn’t you think after working so hard for fifty years she deserves one? i mean, how long would you like to be called the girl with the blue hair. or the girl with the red polka dot dress. or even the amul girl. or the moppet. moppet? c’mon… if she were a boy, would you do this to her. speaking of boys, now that i look at her, i get the feeling a boy we know only too well, a cheeky, lovable boy who absolutely loves butter, may have inspired the creatives who came up with ms amul. nanigopal, makhan chor, our krishna. he too had that “chura” hairdo right on top of his head. he too did pretty much say and do what he wanted and you couldn’t get mad at him. was this a coincidence or is there design to it? or am i just thinking too much? there was an amul hoarding right inside the compound of eddie house on pedder road in bombay. my grandfather had a flat there. i stayed in eddie house for about a year in the ’80s. it was fun to peer out of the window and see what the hoarding painters had put up during the night. amul ads are no longer as good as they used to be (i couldn’t find the old ads on the net, pity). also, the political environment these days doesn’t exactly invite fun and satire, a bit of laughing at oneself. but even so, every once in a while a good one comes along, and reminds me of the old days, when a girl pranced around making comments and thrilled us with her talk. and eating a hot buttered toast was a spiritual experience. 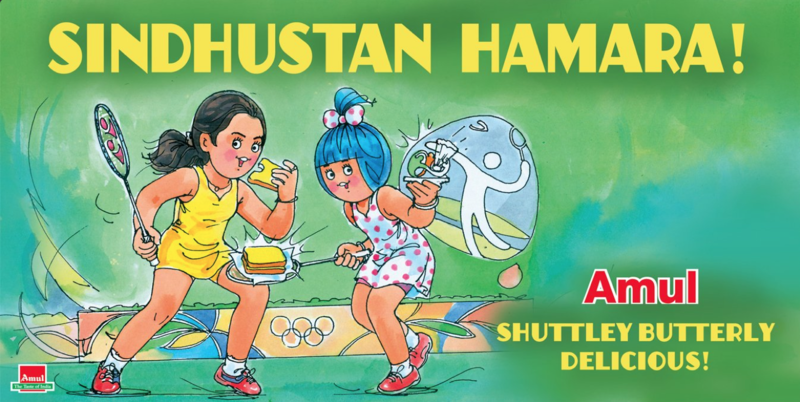 on 20 july 2016, the amul girl celebrated p v sindhu’s win at the olympics with this ad. all pictures/ads credit to amul website and copyright holders. Wah! Extremely well written. Very nostalgic, brought back a gush of old memories. Sunday mornings, dad getting loaves of soft bread, a few 100 gm packs of Amul butter, thick slices slathered generously…. mmmmm. Who’d imagine the simple pleasures of bread and butter? Thanks for reviving some old thoughts! thanks, rl… so glad you read. 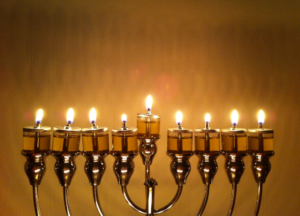 and delighted it brought back memories, happy ones. yeah, can’t think of butter without thinking of my mother. no question of holding back when putting on toast. a few 100 gm packs of amul butter, is it? 🙂 oh happy thought. my favourite butter always. Aww. What an utterly cute-rly one. 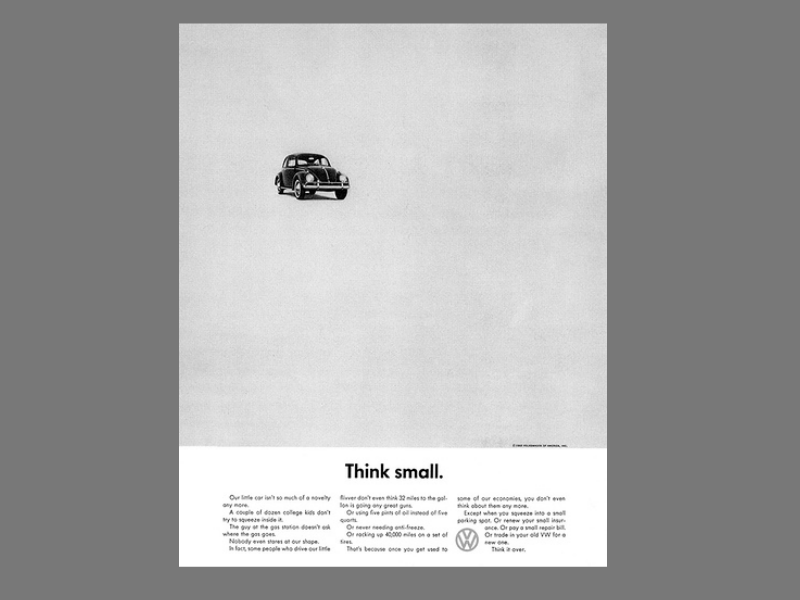 I loved these ads too and there was a time when I would be eager to see the next ad. Though the butter itself rarely arrived at home. It was mostly jams that adorned the slices. But this Amul girl is immensely loved. And yes, I agree too. The girl looks like a female version of natkhat Kanhaiya. yay, you liked. so you also think the kanhaiya ji angle is there? she does look a bit like a cartoon character of the sixties.. like little dot or little lulu, but there is that nandkissore thing. they used to be fun ads, and oh i ate plenty of the butter too. 🙂 thanks so much for reading. very interesting Indi di. Haven’t seen quite a few of these, but yes the tagline sticks in the head. And those ads making fun of the political mess.. that takes guts and confidence. I used to enjoy seeing how they can get away with this level of creative freedom. Like you say, now no more. A dharna, morcha, or some such thing will protest if “sentiments” are hurt.. utterly sad.. but butterly delicious Amul remains. By the way, my husband’s nani love Amul ghee. Has convinced me to buy only that brand..
amul ghee. uff, nice. glad you enjoyed teh ramble. amul ads used to be fun way back… the language was not sophisticated, the wit was in the way she observed the world. there was a happy mass feel to it, which is only right. never knew my hero mohammad khan who didn’t give me a job sigh wrote some of the early topical ones. 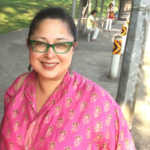 yes, butterly amul remains… when i write about ads, an old feeling returns, feel like writing copy. enjoy the ghee. 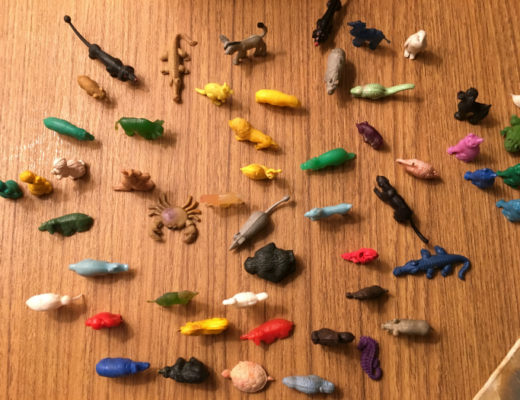 This stirs up so many memories of childhood! Buttered bread stacked on the table…comfort food even today. And through the years Amul ads have been alerting us about the significant happenings around , sometimes cheekily, sometimes seriously but always drawing attention. 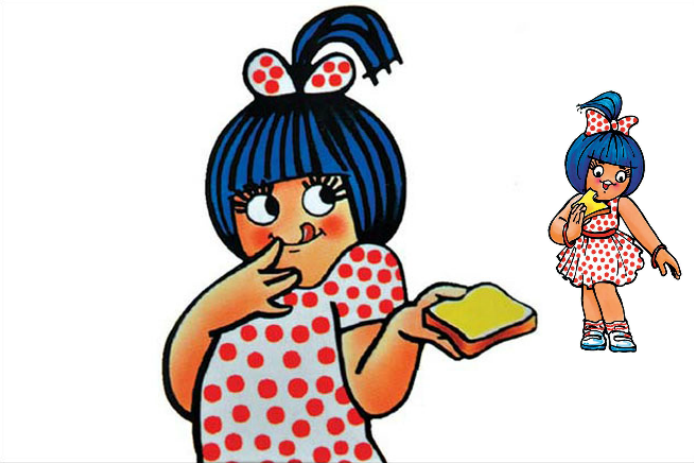 The sassy lass is such a part of our life now; can’t think of any other face for Amul! She is the ultimate mascot, utterly! 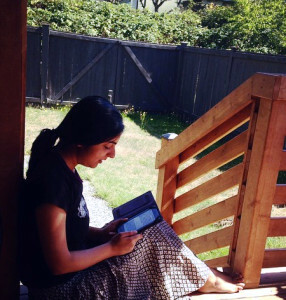 thanks so much, prabha, glad you had a good read and the memories came back. i just saw the one on brexit, the line about amul not exiting from toast was funny. the lass is too cute, i think she’s brought about the longest running partnership between a client and an ad agency too. something so classic addy about her. i was giggling at the aishwarya purple lipstick ad just now. good to see you and thanks for reading.